Southeast Asia, solar panels float on water - SABC News - Breaking news, special reports, world, business, sport coverage of all South African current events. Africa's news leader. EGAT plans to invest in about 16 such projects across 9 dams in the country, deputy governor Thepparat Theppitak told reporters. Despite these challenges, floating solar systems are growing quickly in Asia alongside those on the ground and on roofs according to the Solar Energy Research Institute of Singapore (SERIS). While floating panels are more expensive to install, they are up to 16% more efficient because the water’s cooling effect helps reduce thermal losses and extend their life, according to SERIS. “Technological advances should soon bring them on par with ground systems” in terms of cost, said Paton. Southeast Asia is particularly well suited for floating panels because of the scarcity of land and because they can be easily installed in the region’s many hydro power dams, where they can use existing transmission systems, she said. China currently accounts for most of the more than 1.1-gigawatts of floating solar capacity now installed, according to the World Bank. 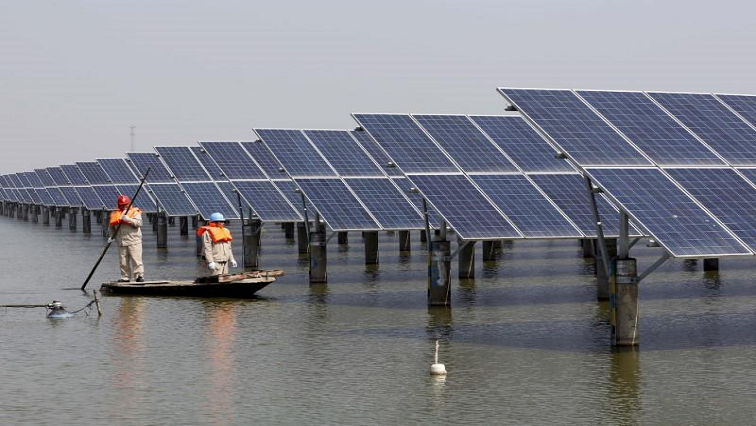 India recently announced a plan to develop 10-GW of floating solar capacity. The technology’s potential is about 400-GW, or about as much generating capacity as all the solar photo voltaic panels installed in the world through 2017, the World Bank said. This entry was posted on 08 Feb 2019,01:24PM at 1:24 PM and is filed under Sci-tech. You can follow any responses to this entry through the RSS 2.0 feed. Both comments and pings are currently closed.